Cempaka Villa Borobudur is a simple but nice hotel. Perfectly situated if you want to visit the Borobudur, it is only about 5 to 10 minutes walking distance from the famous temple complex. Small-scale hotel with joglos (small houses) built in Indonesian style. The hotel is surrounded by a garden. Rooms have private bathroom, air conditioning, kettle and TV. BorobudurThe Borobudur is a famous temple complex built in the 9th century. 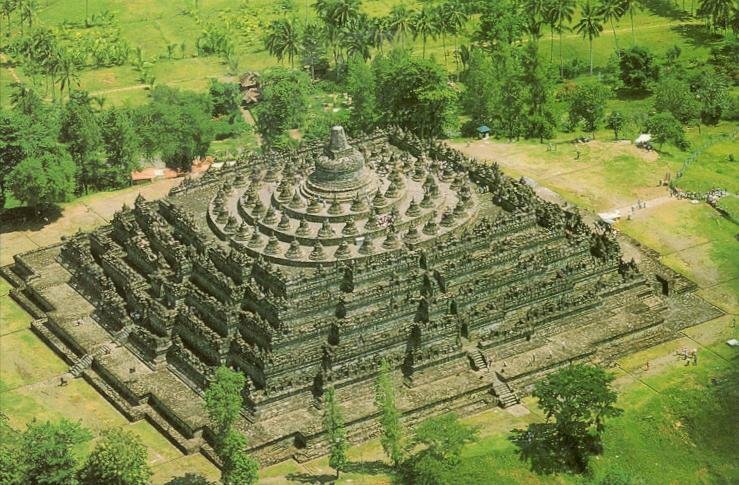 It’s situated on a small hill near Yogyakarta and surrounded by other temples and volcanoes. The complex is 47 meters high and consists of nine stacked platforms.